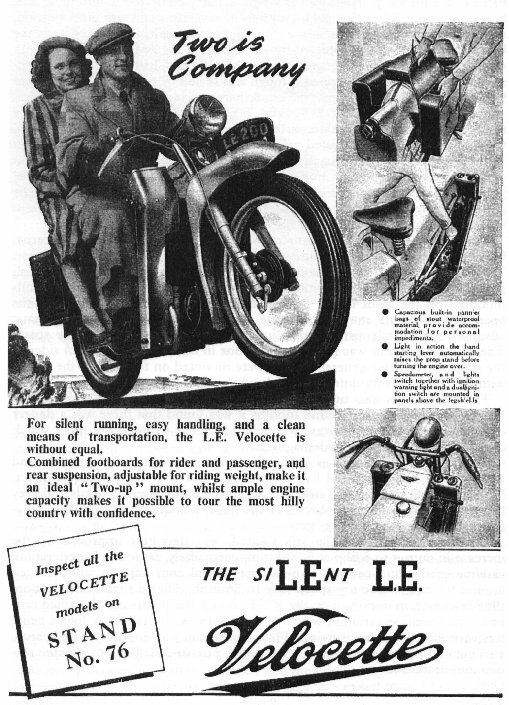 In 1951 Veloce introduced the Mk.II. At first glance the machine looked no different from the Mk.I., but much had changed below the surface. The engine had been bored out to give 192 c.c. The mains and big ends were strengthened to cater for the extra loading and 8 bhp was obtained. This was not enough as far as the buyers were concerned and sales never hit the anticipated level at which Veloce hoped to drop the price to become more competitive. However the L.E. was developing. 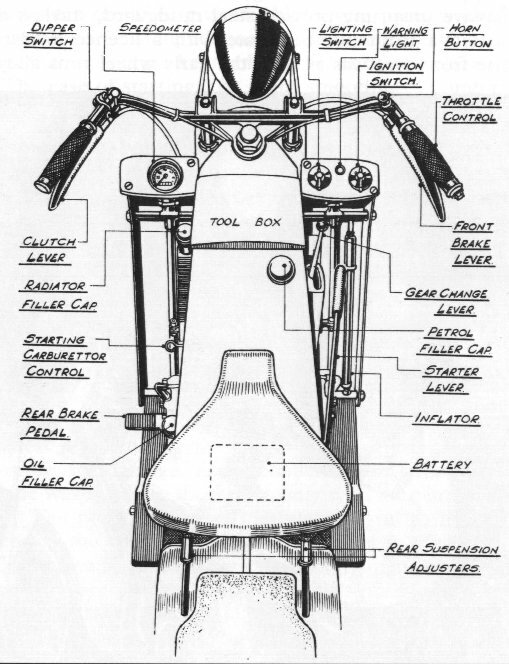 The lubrication system was amended and an oil filter fitted to the r.h.s. cylinder head for better maintenance. The clutch was upgraded from a single plate to a 3 dry plate type. The multi-jet carburettor was phased out in favour of a simpler Amal 363 monobloc unit which, whilst easier to maintain was not as economical on petrol consumption. The B.T.H. generator was changed for a similar looking Miller unit. The B.T.H. unit had one H.T. coil and a two to one gear reduction to the points, thus giving a spark every revolution to opposite plugs. The charging side was a D.C. brush dynamo charging the 6V battery direct. The Miller unit had two ignition coils with no gearing to the points. This produced a spark to both plugs every revolution. In practice each cylinder plug sparked at t.d.c. and at b.d.c. The charging side was an A.C. generator which energised a 6V battery via a full wave rectifier. The fabricated rear swing arm was replaced with a new cast aluminium item of a more rigid construction. The brakes were up-rated, the existing 5" x .75"drums being changed to 5" x 1" and were now mounted in painted steel rims in lieu of the aluminium used in the Mark1. The petrol tank capacity was increased from 1.25 galls to 1.62 galls. Most other features remained as the Mk.I. During the production of the Mk.II. police orders started to come in, though special fleet discounts meant that the price paid to the company was less than the retail one. The police in more than 50 forces nationally ended up taking over half of the L.E. 's total production. 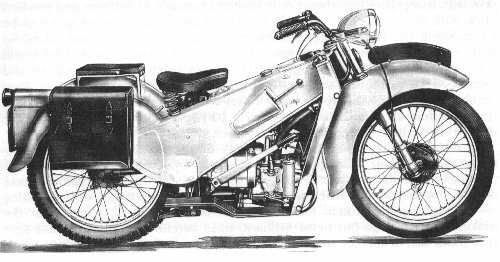 The hard, high mileage the police L.E.s endured, with early Met machines having a life expectancy of 60,000 miles and being ridden on shifts round the clock, confirmed that the built-in longevity, Veloce had intended had not been an illusion. The Met stated "They stood up well". 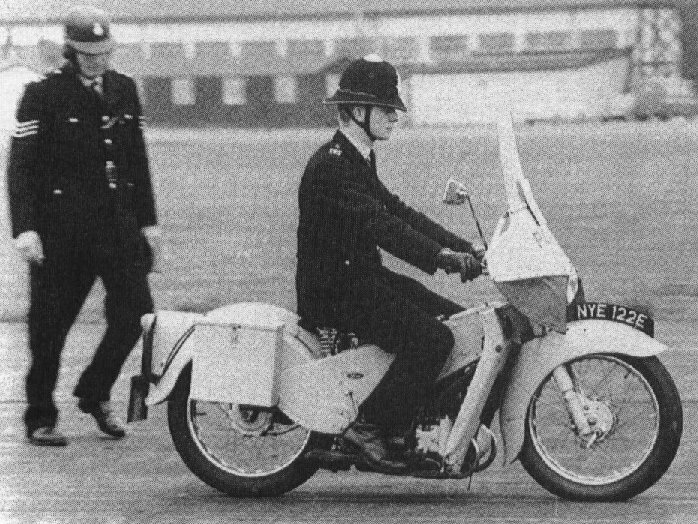 Kent County Constabulary confirmed that "They were liked by the riders, and the mechanics found them easy to maintain", "ideal for the purpose" and "the best lightweight motorcycle we ever had".